Marshall Electronics Optical System Division has a variety of BNC connectors and cable assembly. 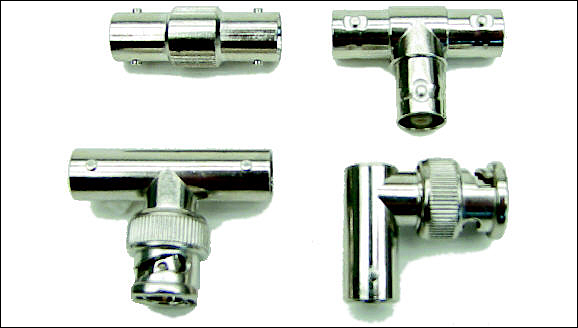 These miniature, lightweight coaxial connectors are designed for use in Video, Multimedia and Broadcasting, Medical, Computer and Test instrumentation applications where frequent coupling and decoupling is necessary. Marshall offers a wide range of BNC's for every cable style, BNC cable assemblies and coax cables are available for any video application. Ultra fast assembly: strip the cable, twist the center conductor then crimp the shield! RG/59 22AWG Solid center braid shield, .242' O.D. RG/59 22AWG CCS 19×34BC braid shield, .242' O.D. Miniature superflexible 24 AWG, 20×.12 OFC, served shield, .189 O.D. Miniature 27 AWG, 20×35 braid shield, .157 O.D.